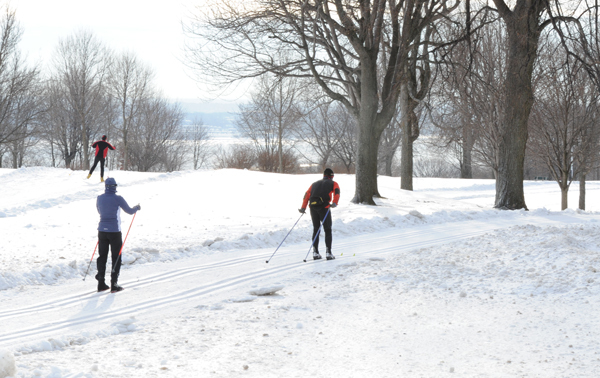 Enjoy winter sports for free in an accessible and enchanting location with a spectacular view of the Saint-Lawrence River. 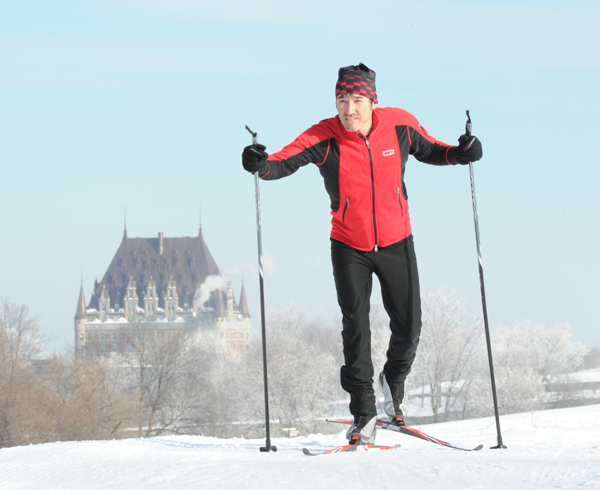 The Plains of Abraham provides 11.5 km of ski trails laid out for beginner and intermediate cross-country skiers, a 3.8 km trail (round trip) for snowshoeing, and 6.7 km of walking trails. A waxing room and two heated rest areas are also available. Cross-country ski and snowshoe season is over and trails are closed. Sunday, March 24: 53 (partly; open up to the 52) and 54. 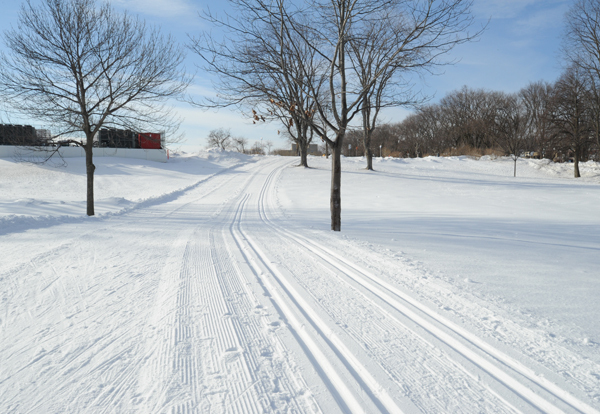 Grooming of the trails is done on a daily basis when meteorological conditions permit. Please note that precipitations of rain, snow and sleet can delay or prevent grooming as well as deteriorate trails already groomed. Depending on conditions, between five and ten hours of work are required to cover all the trails with the machinery. The Skaters' chalet and the rental service are closed for the season. See you next year! The "Friends of the Plains of Abraham" Society offers to adults and children a rental service that supplies boots, poles, cross-country skis and snowshoes. The rental center is located at the Skaters' chalet near the ice rink on the playing fields. The rental service can open ahead of time or be extended according to the snow coverage. Debit and credit card accepted. A deposit may be required for certain items or packages. * Cost for two adults and two children (12 years old and younger). Prices valid from December 1, 2018 to March 15, 2019. Located along trail No. 51, at the Montcalm entrance to the park near Grande Allée. It is accessible from 9:00 a.m. to 7:15 p.m. every day. 2 heated rest areas are available to cross-country skiers and snowshoers. The Plains of Abraham Museum is opened daily, from 9:00 a.m. to 5:30 p.m. The Pavilion is opened from 8:30 a.m. to 4:30 p.m. daily. Safety officer on duty 24 hours a day and trail patrol by the Canadian Ski Patrol, depending on weather conditions. The "Friends of the Plains of Abraham" Society offers classical and free-style skiing lessons for adults, on Saturdays and Sundays, beginning in January 2019. Equipment not included. $100/person.